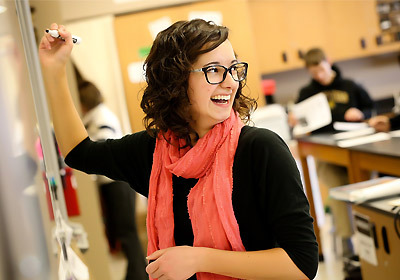 The College of Education and Health Sciences prepares quality professionals and pre-professionals in education, human service, and health science to meet the needs of others within a changing society. With graduates whose standards of performance are sought after by employers. With faculty who are sought after for their expertise as scholars and teachers and for their contributions to the community. With first class facilities including state-of-the-art technology and equipment.